How would you like to spend some time with your best furry friend while allowing them some time to freely run and play with other dogs? You will soon get a chance to do that, but first, the Leadership Griffin+Spalding Group needs your help! Spalding community (humans and canines) continues to grow. Dog owners are looking for an open space to spend quality time, exercise and socialize their pets. Location: 620 Carver Road Park - easily accessible from Williamson Road and/or Hwy1941. 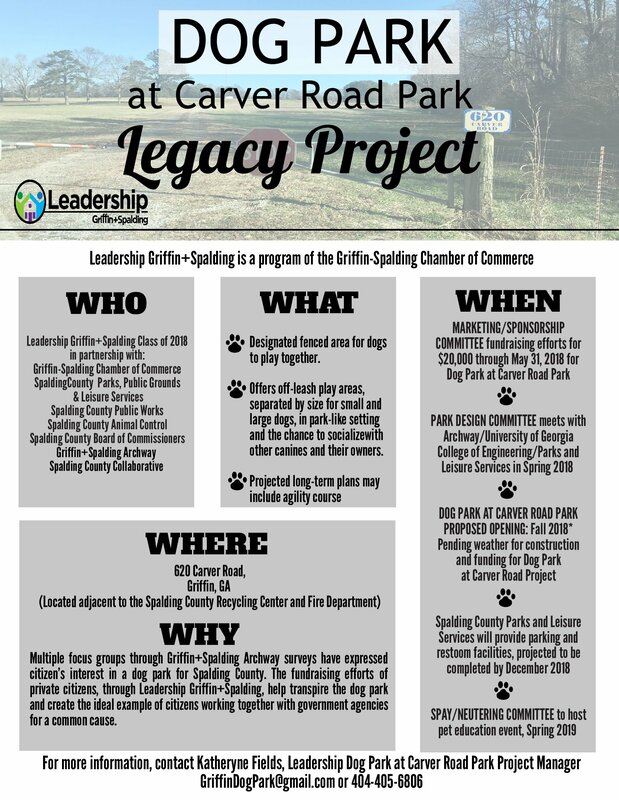 Funding needed: Land has been approved and earmarked for dog park. Funds are needed for fences, signs and equipment. 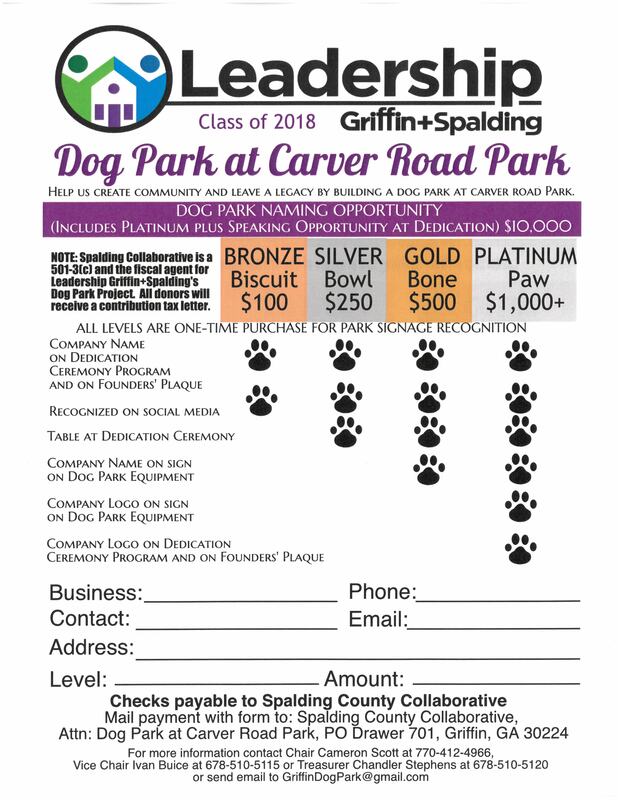 Sponsorships for $20,000 will be raised by members of the Griffin+Spalding Leadership Class of 2018. Four sponsorship levels with various perks; opportunity to name the park for $10,000. Donations are tax deductible.